Sometimes I wonder which country I live in. My fridge and pantry are filled with foreign food items and French wines, but when I look out of the window I see red flags hanging out on the window seals of people’s houses. And I hear the call to prayer in the evening while eating dinner – now I sleep through the morning call that strikes at 6.30 and it doesn’t bother me any more. Other things that remind me of where I am include these white mulberries, the taste of dill and huge yogurt containers, which have many uses. 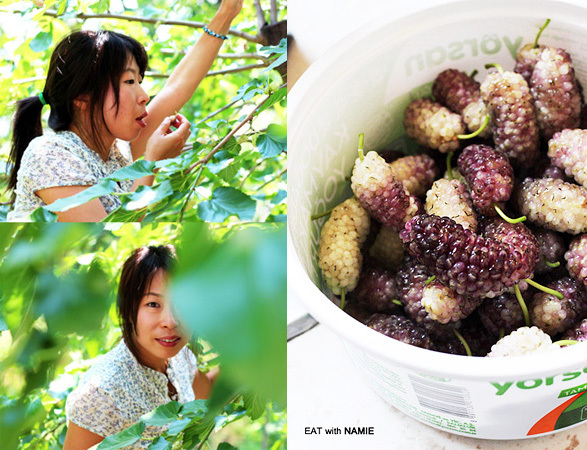 As I am petite and good at climbing trees, I was asked to pick mulberries. These mulberry trees are everywhere across Turkey and the sweet fruit drop on to the streets, making footpaths sticky, and sometimes they will hit your head or drop on to the screen of your iPad when you’re lounging in the shade of those trees. They are so sweet that they can be boiled down to syrup or molasses and used as a substitute for sugar, Apparently the medical benefit for diabetics has been studied. 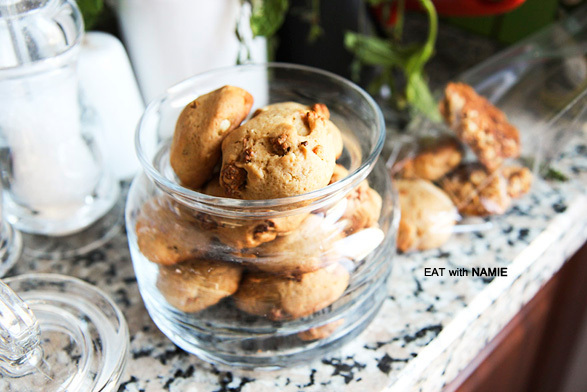 I used to make cookies with dried mulberries in the past or just snack on them. Today I am going to share a recipe that has the fragrance and the taste of the Aegean side of Turkey. I love the Aegean cuisine, which can be dubbed as Mediterranean cuisine, for its use of olive oil, fresh ingredients and herbs. 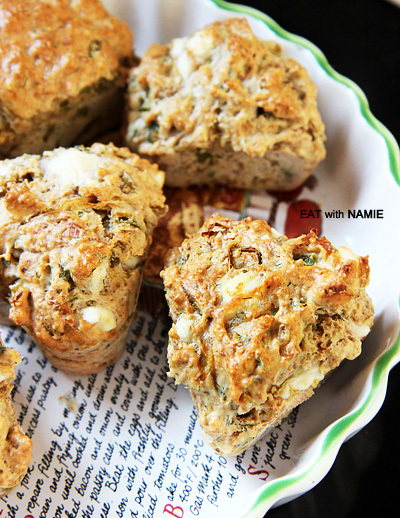 I can’t rave about savoury muffins enough for their versatility and convenience, let alone the delicious taste compacted with nutritious ingredients. The Turks have the taste for chillies. So do Koreans. The chilli kick is so addictive, especially the long green chillies, which are sweet with slight pungency and crunch like cucumbers. Here the green chillies are added to salads as well, but the chillies, which are meant to be not too spicy, can give you a surprise attack. One day I wanted to be a bit naughty and cheeky when I prepared the muffins for Mr.O‘s colleagues. I thought the muffins were pretty spicy but the colleagues didn’t seem to find them spicy at all and enjoyed them. 😦 Well…I will add more chillies next time! 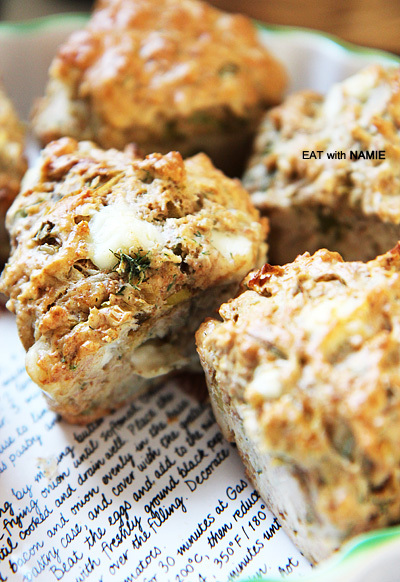 The recipe is simple and similar to the previous Carrot Spinach Feta Muffins. I can’t say which one I liked more, but I wolfed down these muffins with great pleasure and it will be probably due to the excitement from the chillies. They are like ecstasy sometimes. 1. Preheat the oven to 200’C and grease the muffin pan (big 6 holes or small 12 holes) with olive oil. 2. Panfry the chopped leek and chillies and set aside to cool. 3. In a large bowl, whisk egg, milk and olive oil together. Stir through the cooked vegetables, fresh dill and pepper (if using). 4. Sift flour and baking powder into the bowl and gently stir to combine. *Serving: They are best served warm. They are great on their own but can be served with cherry tomatoes, a couple slices of ham or jambon and some rocket leaves for a complet,e quick, decadent lunch. They keep in the fridge for a week and can be reheated on high in the microwave for 30 seconds. 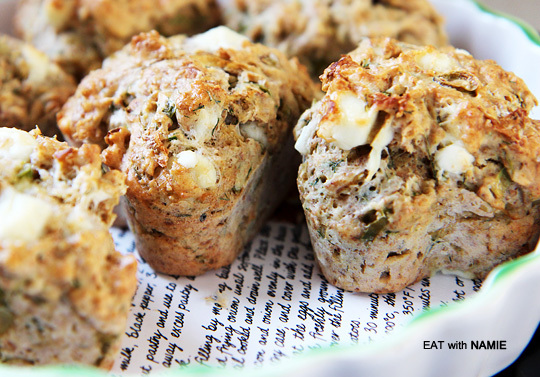 You might also like my Carrot Spinach Feta Muffins. Man these muffins look so tasty! Thank you for sharing 🙂 Will try them for sure during one of these hot summer evenings. Recipe sounds good! And pictures look super-delicious. I checked your lastest actions on your site. You’ve been busy cooking all over Europe. Lucky you! Thanks for stopping by.